Opencart "SMS Notifications" Extension grants you to send SMS communication to client with the instruction about the position of their order. Since this add-on helps to conduct client up-to-date about the current order position, it expansion trust in your business. So, the sales levels from your store get promoted. In Opencart online store, this SMS information add-on is easy for coronation. Client get instruction over SMS, no commitment to check the mail from wherever. SMS are ever visible at the forwarded time but an e-mail which can be treated as SPAM sometimes. SMS notifications send to client and an admin, while the order gets placed. SMS information to client, if order gets cancelled. 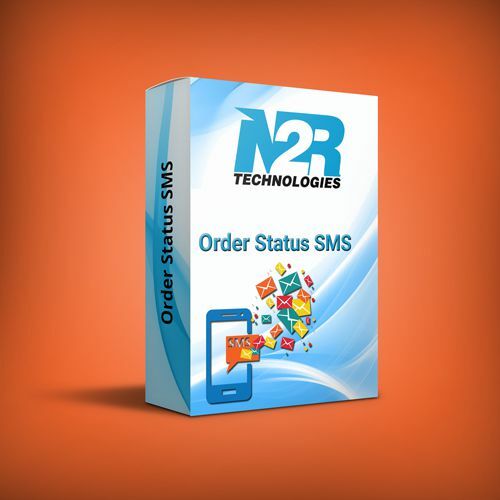 If Structure receive placed, then the SMS notification to client tells the Order successfully placed with Order Id. If Structure status change to shipping, then the client gain the SMS information like ‘Structure shipped with Tracking number and shipping provider name’. If Structure position change to shipment, then the client gets the SMS information like ‘Order successful to delivered’. Operator get an SMS information after order successfully get placed. Grant the admin to calculate more than one number for catching the SMS. This add-on allows merchant to send the SMS to client about their order condition. This add-on keeps client up-to-date about the current order status over SMS information. So, the business levels get promoted. Due to SMS information add-on, client get trust in your business and sales level get improved. If you do not requirement the SMS activity for the time presence then you can disable add-on by yourself. Ecommerce Website Design and ecommerce Website Development Company. We are Provided ECommerce Website Design and Ecommerce Website development services in worldwide. Our Developers create an e-commerce website suitable for the individual needs of your business. Ecommerce website design your online store defines the level of your future profits.